In honor of CAA’s Centennial, the artist Sheryl Oring asked 2012 Annual Conference attendees a single question: What is the role of the artist? Over the course of a two-day performance in Los Angeles, Oring posed the question to her visitors and transcribed their answers verbatim onto note cards using a manual typewriter, with a goal of collecting one hundred answers. 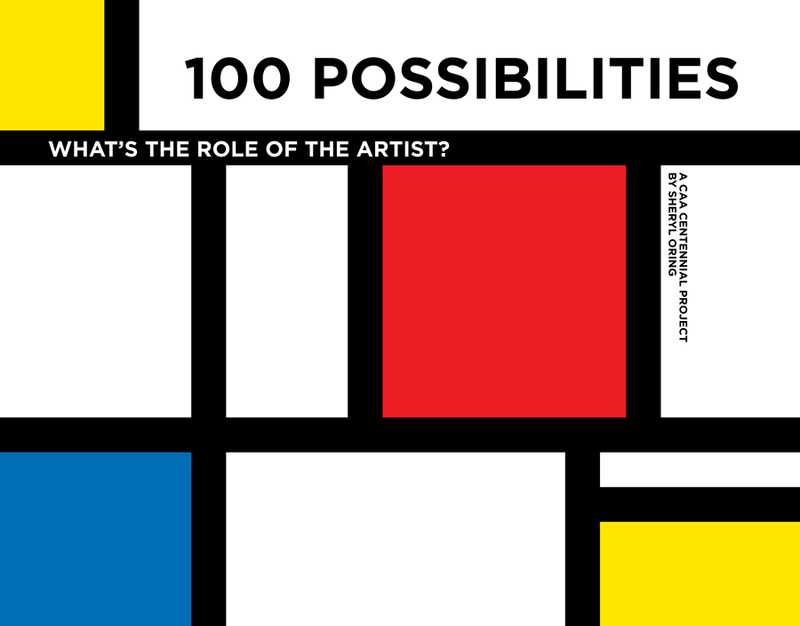 Hence the title of her work, 100 Possibilities. Collectively, these answers will paint a portrait of academic views about the role of the artist as CAA enters its second century as a professional organization. Oring’s performance took place at the Los Angeles Convention Center from 1:00 to 5:00 PM on Wednesday, February 22, and Thursday, February 23, 2012—or until she received her one hundred answers. The artist Sheryl Oring asked 2012 Annual Conference attendees a single question: What is the role of the artist? 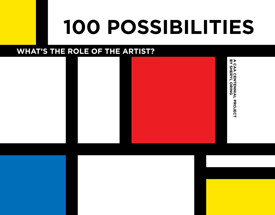 Copyright © 2019 100 Possibilities.